Stop press: we have exciting news. This week marked the official launch of our events calendar which is jam-packed with workshops and webinars on a range of topics which advisers (both Apricity clients and non-clients), can benefit from. The approach to our learning events is very much aligned to that of our overall vision – to make your compliance experience positive, helpful, even enjoyable! Professional, and personal, development is absolutely crucial to staying at the top of your game, we know that. But in a world where our time is so increasingly precious, it’s often difficult to justify the time out the office for what is, all too often, a day of glorified sales pitches. So therefore, our promise to you is that we’ve banished the typical hard-sell. Useful information on new approaches and products that could genuinely present value back to you and/or your business – yes. Scripted and covert sales pitches – no. We’re busy creating more and more content so expect to see new additions to the events directory over the coming weeks and months. Topics will vary, formats of the day will do too – but the philosophy remains constant. The agenda of each event will be designed in a way that means that all delegates will leave the room having learned how to overcome/approach a challenge they’re facing. So, gone are the days of attending events simply to tick off your CPD quota and the days of positive learning have arrived. As we’ve already mentioned, we place an emphasis on being able to apply your knowledge post event. 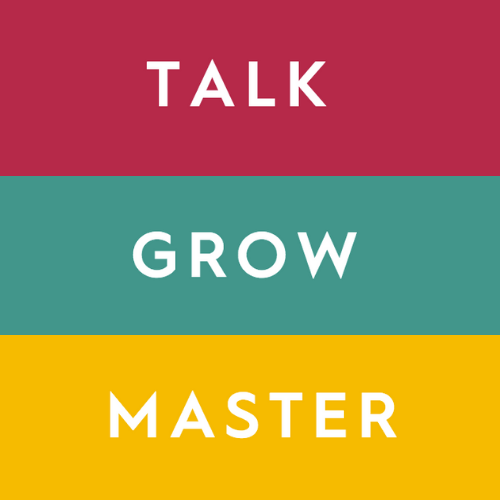 We’ve also categorised our events – TALK, GROW and MASTER – and although topics will vary, delegates can understand the differing formats. Our TALK series are typically webinars, are available to all and are free to attend. In true webinar fashion, one person will lead a presentation on a given topic and there’ll be a forum to ask questions personal to you and firm. They are an engaging way to learn about the latest news and will be held online, meaning that they are fully accessible to all. Our GROW series is primarily aimed at those looking for a fresh approach to their professional development – those who are truly invested in their own personal growth. These will be half day events and will typically cover a range of sessions from across the full profession. They will be held across different locations in the UK initially one in the North and one in the South and are free to Apricity and Para-Sols clients. Non-Apricity clients can also attend for a minimum fee. Our MASTER series focus on single topics which delegates can immerse themselves in an intense learning environment and are delivered by experts in the field. Unlike the GROW events, MASTER workshops are a full day programme going into greater depth on the topic and include a range of interactive activities so delegates can really hone in on the subject and ‘master’ their skills. Again, the event is open to both clients, and non-clients, with discounts available for existing Apricity or Para-Sols clients. Whether it’s a TALK, GROW or MASTER event you choose to attend (or even all three! ), we guarantee that you will gain an enjoyable, knowledgeable experience, well worth your time out of the office. Visit our events page to learn more and register your attendance.